When you need an experienced Houston lawyer who can help you after a car accident, contact The Law Offices of John R. Bartos & J. Bernard Schultz. Automobile accidents are an unfortunate but common incident of living, working and driving in the fourth-most populous city in the United States—Houston. Car accidents are a daily occurrence and can have enormous consequences for drivers and victims. 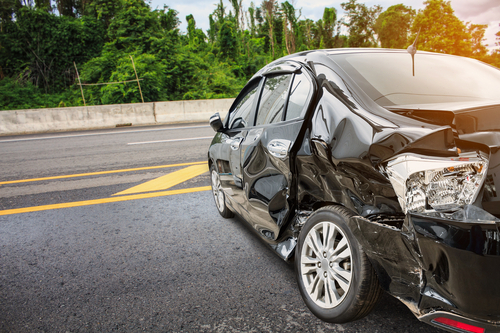 Crashes can cause significant damage to vehicles, property, not to mention injuries and death. Driving safely and defensively is important to keep yourself safe and prevent damage to your vehicle from car accidents. Contact us for a free consultation about your accident. Call a Houston lawyer you can trust immediately after an automobile accident. Having a competent and hard-working attorney on your case is important to maximize the compensation to which you are entitled. These are some of the most common types of automobile accidents that can occur. Crashes at low speeds may cause less significant damage, but cause damage nonetheless. Shopping car bumps, fender benders, collisions in parking lots below 10 miles per hour risk property damage and injuries to passengers and pedestrians. Be especially careful at intersections, whether they are controlled by traffic lights or stop signs. T-bone accidents are often caused by red-light and stop sign runners or drivers turning left without yielding to oncoming traffic. Sideswiping occurs when the drivers of merging vehicles fail to yield to each other. Be especially careful when merging into traffic or changing lanes. Rear-end collisions are some of the most common traffic accidents, usually occurring when a driver follows another vehicle too closely and fails to stop in time when the vehicle in front either slows or stops. Inattentive driving and texting while driving often causes rear-end collisions. Running off the road, losing control and hitting fixed objects are all types of single-vehicle accidents. Many happen by speeding or through inattentive driving. Traffic accidents are the top cause of preventable deaths in the United States. The leading causes of car accidents are speeding while driving, reckless driving, use of cell phones, texting while driving, distracted driving, driver fatigue, drunk driving and rubber necking. Additional causes are defects in road construction, poor weather conditions and improper or confusion signage in construction areas. Involved in a bad car accident and need to find Houston car accident attorneys? Call the Houston lawyer that Houston residents have trusted for years—The Law Offices of John R. Bartos & J. Bernard Schultz. 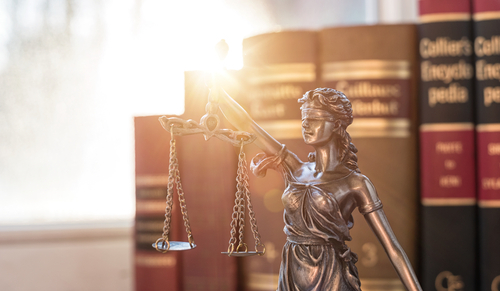 If you need the assistance of a local lawyer, contact the Law Offices of John R. Bartos & J. Bernard Schultz, known for experience and diligence in fighting for victims’ cases. For more than 25 years, the legal team has provided high-quality personal legal services for individuals and businesses. The primary area of practice is personal injury law, and the office has handled cases involving car accidents, truck accidents, 18-wheeler accidents, motorcycle accidents and pedestrian accidents. The office also is experience in family matters, offering legal services, including wills and trusts, estate planning and probate law. The legal team in the Law Offices of John R. Bartos & J. Bernard Schultz seeks to provide individual personal legal service with one of the attorneys personally handling your case. We have many clients that have returned time and again for more than 20 years for our Houston lawyer professional legal services. J. Bernard Schultz has been practicing law in Harris County and the State of Texas since 1964. John R. Bartos has been practicing in Harris County and the State of Texas since 1981. John R. Bartos, Attorney at Law, is a Houston lawyer in practice since 1981. He earned his Doctor of Jurisprudence from the South Texas College of Law and was admitted into the State Bar of Texas. He has been involved in the Houston Bar Association, the San Antonio Trial Lawyers Association, the American Association for Justice, the State Bar of Texas and the Houston Trial Lawyers Association for many years. Feel free to read his YP.com profile. He serves his community in a number of capacities including his involvement as a member of the Texas Rivers Conservation Advisory Board, member of the Galveston Bay Foundation, advisory board member of the Bayou Preservation Association, board member of the Houston Audubon Society, and vice chair of the Trinity and San Jacinto River Basins and Galveston Bay Basin and Bay Area Stakeholder Committee. He has been featured in the article “Skill Builder: Paddling Particulars” in Texas Parks and Wildlife Magazine, published in April 2011. J. Bernard Schultz, Attorney at Law, is a Houston lawyer admitted into the State Bar of Texas in 1964. 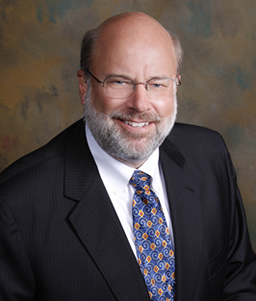 Schultz has practiced law in Texas since 1964, primarily in civil litigation including personal injury. He has handled cases for injured clients in car accidents, truck collisions and construction site accidents, and has handled cases for survivors of wrongful death and those who suffered in cases involving serious injuries. Need a Houston Lawyer ? If you have a civil problem such as those listed in our Areas of Practice, or other legal questions, please call us or send us a message to receive an initial consultation by a Houston lawyer regarding how your situation can be resolved.